Color LCD Monitor: One of the main features of the wireless baby monitor is the fully color monitor. You can easily see the baby’s real-time activity with this 3.5 inch LCD display and keep a piece of mind that baby is ok in the room. Night Vision: Many monitors do not support night vision. For of the night vision feature, I like the video baby monitor most. At the midnight or when it is very low light level in the room, you do not have to go to the child’s bedroom. Just monitor from your chamber for night vision capability. This is really helpful and a great monitoring system without disturbing baby’s sleep at a dark night. Temperature Display: The Motorola baby monitor has temperature indicator. Because of having the temperature monitoring point, mom can get notified as if her baby is ok in the room. Too cold or too hot environment is really uncomfortable to kids, so you can balance the room’s warm after observing the condition at your monitor. Supportive Stand and Zooming Feature: You can put the monitor on any place using the supportive stand. Thus it will be easy to see the existence of monitor even if you forget where kept the monitor. On the other hand zooming feature of this baby monitor allows observing the baby closely. And thus you will be able to take action if the loving one doing any unexpected occurrences. Two-way Communication: This is the Motorola digital baby monitor with two-way communication feature. With the device, you can instantly control baby’s cry or scare at midnight.Also if siblings make noise and argued each other you just talk to silent using your system. And hearing your sound they fell cool and be soothed. When you are taking rest, reading a book or watching TV in another room you can remotely sing cradle songs which the child loves. FHSS Technology and Lullabies: In the Motorola MBP36S, 2.4 GHz FHSS wireless technology is used for more reliable and secure connection. Because of the higher technology, it has less chance to weak signal or drops the connection.Thus you will not miss a single moment happening in the baby’s room. One the other hand the five built-in lullabies feature helps to calm baby. 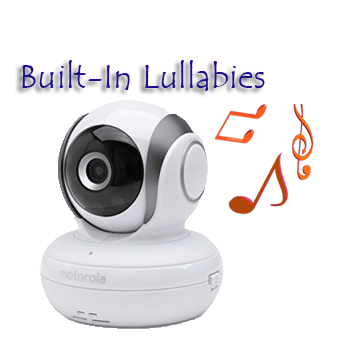 The volume control, Pan & Tilt, Option to add additional cameras (additional Motorola baby monitor camera sold separately) are the others feature of MBP36S Motorola Remote Wireless Video Baby Monitor. To learn about baby monitor you may read Best baby monitors buying guide and reviews. 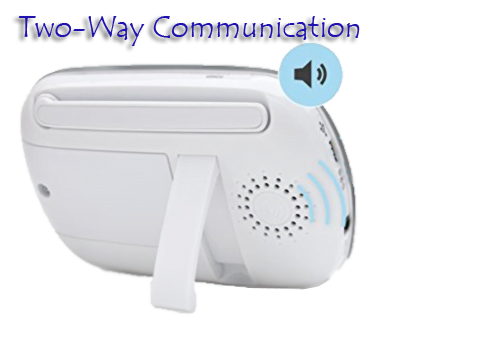 A two-way conversation with clear sound (parents to baby and baby to parents). Five types of Built-in lullabies. Limited parent unit battery life. Pro tips: Keep it plugged in. If necessary have to buy additional cameras. 1. Question: How do I communicate with my baby through talking back feature? Answer: Press the button when you speak and be ensure you have released the button to hear baby’s response. 2. Question: I cannot hear baby’s activity or crying sound from monitor unit? Answer: Check if the volume level of parent’s unit is too low or you may be out of range from each other. 3. Question: I am not seeing the power indicator in the parent unit? Answer: You may do not make power on, or provided battery pack may not be connected correctly or it should be recharge and the finally check. 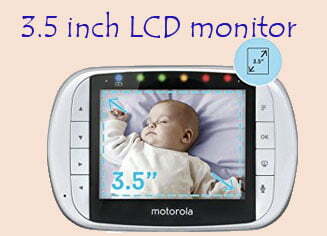 Motorola brand has become another fabulous market leader in the baby monitor markets. The Motorola MBP36S model of wireless video baby monitors has added more features which definitely love the parents. For good features of the product, customers do not hesitate to spend worth. 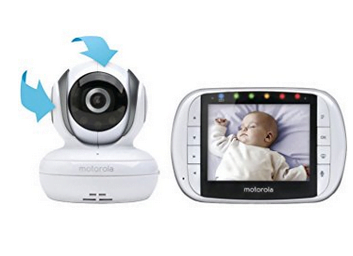 At last, it can be said that this is a great investment that will be last longing, the perfect choice for busy people and your baby will be totally safe with this Motorola MBP36S digital video baby monitor.